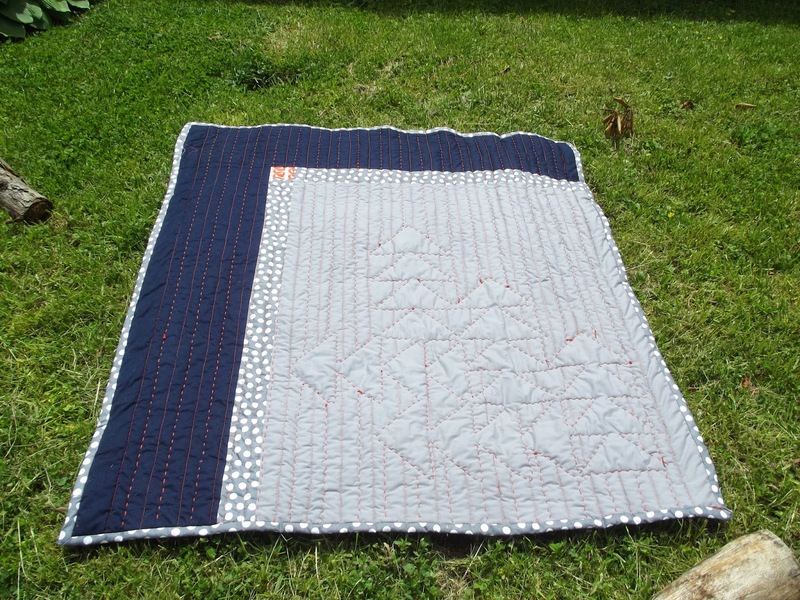 A few months ago the Philadelphia Modern Quilt Guild participated in the Modern Quilt Guild Riley Blake Fabric Challenge. 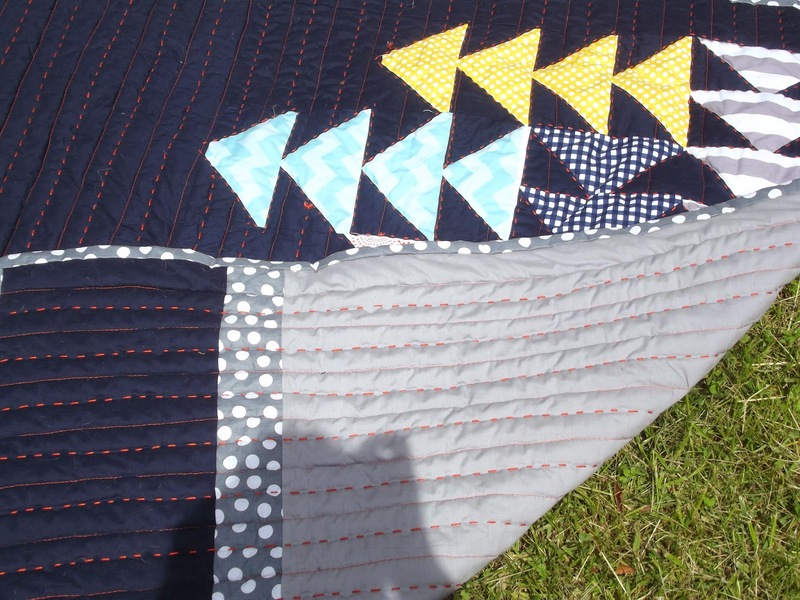 The National Guild always says "make whatever you want as long as its quilted" Our guild decided to ask that you do some machine quilting out of your comfort zone. 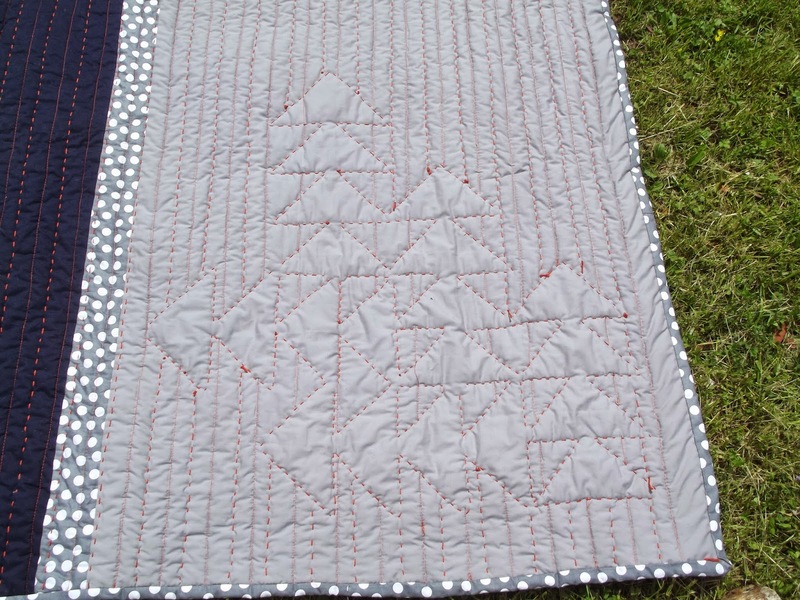 I decided to do some straight line quilting, because for me unless its perfectly straight then it will bother me. 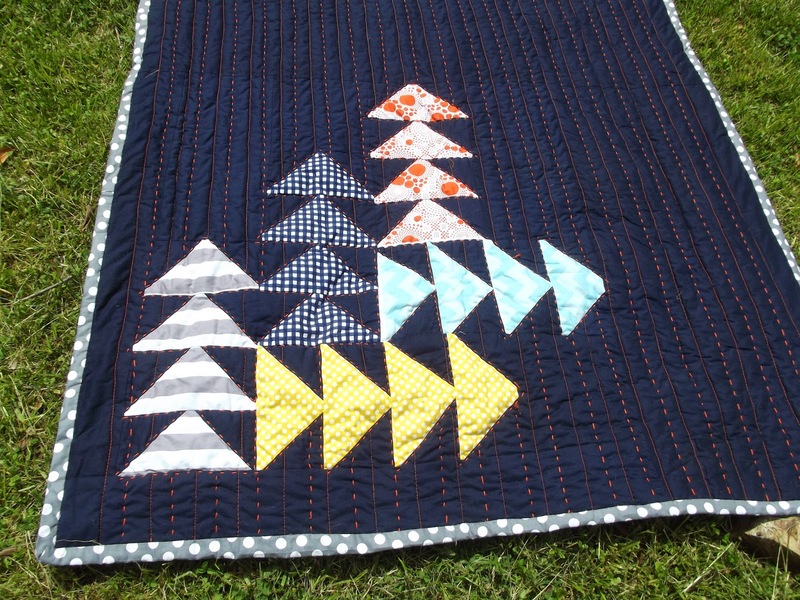 I did machine quilting and then hand quilted in between with an orange. I also outlined each of my triangles with the orange as well. 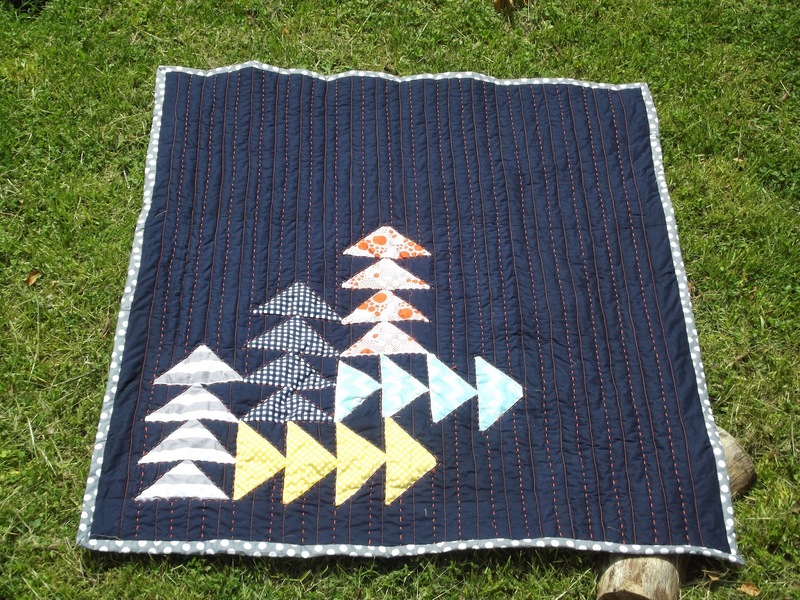 I think this is the most "modern" looking quilt I have ever made! I didn't have a plan other than I wanted 4 "flying geese" in each color. I just kept going until it turned into something that I liked. I also don't make anything small, to me it has to be useful. So, its a throw sized quilt for my living room.